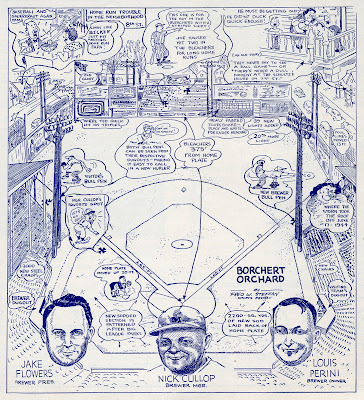 Aside from playing through some of the more memorable events at Borchert Field over the previous few decades, the graphic also told fans about the changes that were being made by Lou Perini and his Boston Braves, new owners of the club (but not, interestingly, the ballpark; the Orchard had remained in the hands of Otto Borchert's family since his death). There's so much to love here. 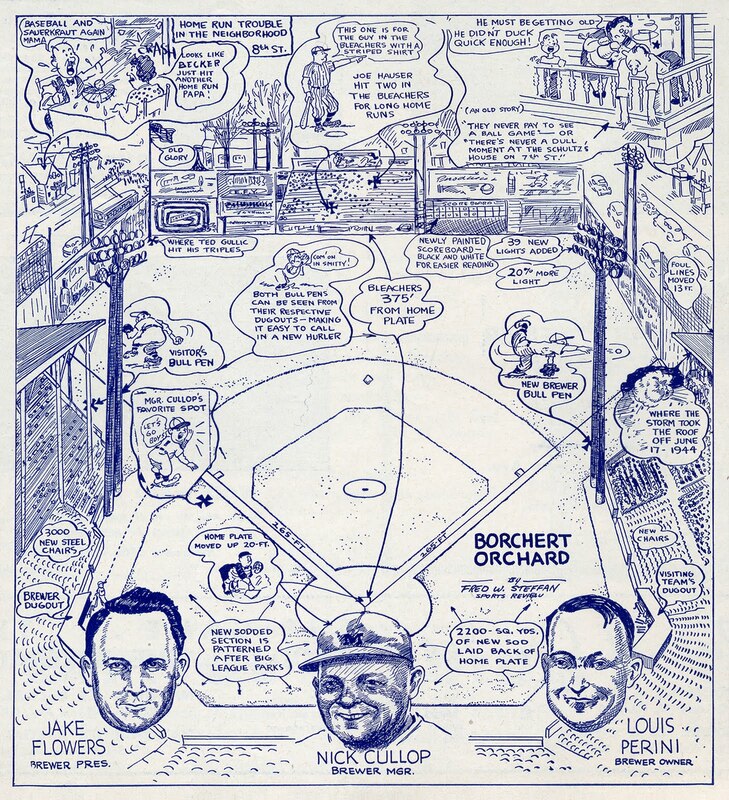 I bet I can get a dozen articles out of the entries from the entries on this sketch. Stay tuned.